Barcelona is definitely the capital of architecture, with unique designs setting the city apart from others— truly an art lover’s dream. 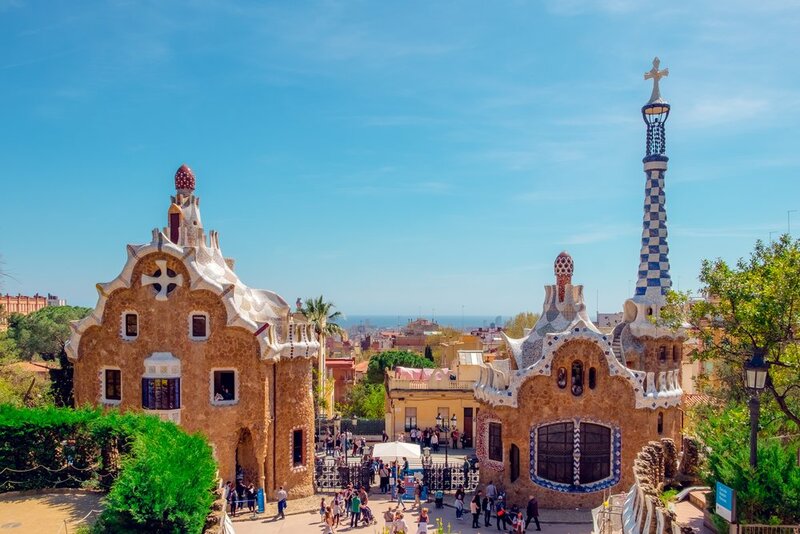 The energy of the city is vibrant, reflected by its colorful buildings and bold Gaudi architecture, with beach access and a blazing nightlife: Barcelona ticks all the boxes. It is by far one of the trendiest cities in Spain! Enjoy a glass of wine on a rooftop bar, poolside, overlooking the city at Grand Hotel Central. Very much considered as a hub for learning, Salamanca is a popular destination for international students, as it is home to one of the oldest universities in Europe. With a large student population, this city is full of life! Salamanca has a great balance of historical roots and a plethora of trendy cafes that appeal to everyone. 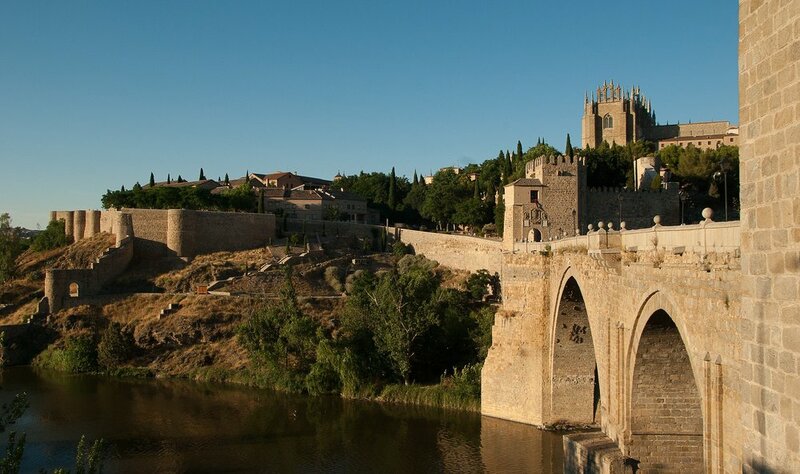 If you’re a history aficionado, Toledo is the ideal city getaway. Dubbed ‘The City of Swords’, this UNESCO World Heritage Site has preserved its ancient traditions and continues to show off its multitude of influences. The walled city contains gorgeous Medieval architecture, as well as fascinating religious buildings from Muslim, Jewish, and Christian settlers. Not to be brushed off as just a party destination, Ibiza has another side to it. Although, of course, it has some of the best nightlife in Spain, it can also appeal to travelers looking for a peaceful, healing break. Yoga and meditation have grown in popularity here, and with turquoise waters, white buildings, and an island breeze, it’s easy to see how this could make the perfect wellness getaway. 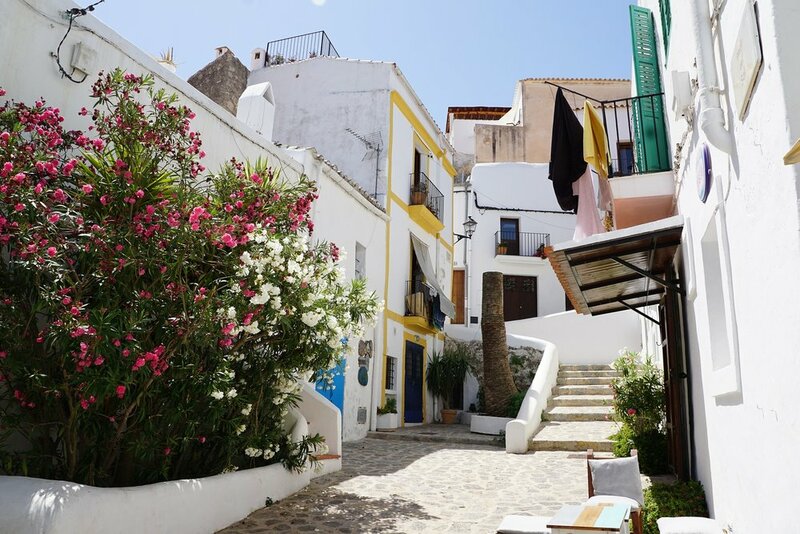 Take a trip to the old town for traditional Spanish architecture! With soaring average temperatures of 37°C (98.6°F) in July and August, it’s the hottest spot in Spain and Europe. As such, it’s probably best to avoid in high summer unless you’re used to this heat. The city’s foundations were rooted in Roman architecture, and remnants of their rule endures in the large bridge that crosses the Guadalquivir River. It has since been largely rebuilt and restored. A beautiful city, Seville is renowned for its orange trees and is home to one of the largest Cathedrals in the world (there is some dispute over its size, some believe it should be classed as the biggest cathedral in the world). 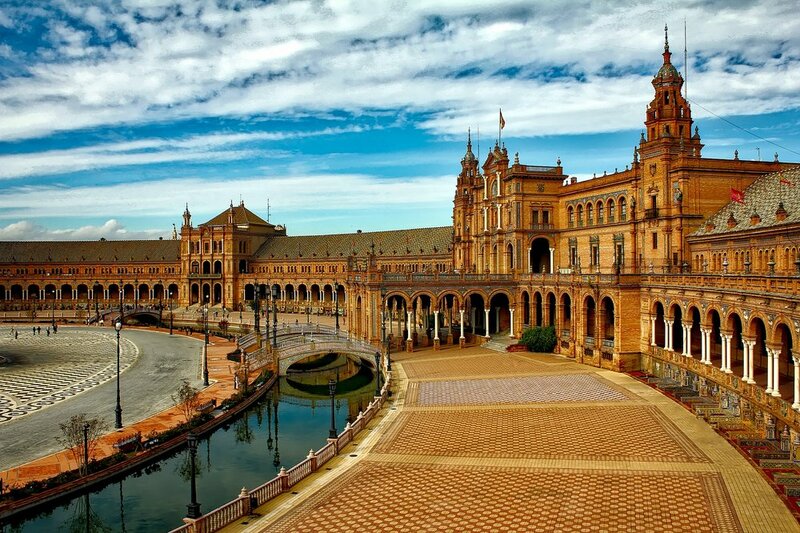 There are so many sights in Seville, including El Alcazar, a stunning palace, and a breathtaking main square, Plaza de Espana. You’ll be spoilt for choice. What really sets Seville apart from other cities is its use of ceramic tiles with intricate designs that decorate the walls and floors alike for a truly unparalleled beauty. This vibrant city is also considered the capital for flamenco, so don’t miss out on an opportunity to witness a performance in the very city it was invented! Los Gallos is an esteemed venue for flamenco, so add it to your itinerary. Valencia has been highly developed in recent years, with contemporary Art Nouveau architecture contrasting to the remaining Gothic and Renaissance monuments. Again, this is what cities in Spain manage so masterfully, combining modern architecture with the historical buildings for a unique aesthetic. The highlight of your trip will no doubt be the City of Arts & Sciences, a sculpturally designed museum displaying lots of interactive exhibitions. Best known for its July festival, San Fermin or ‘Running of the Bulls’, where bulls thunder through the city streets alongside ‘runners’. Once capital of an independent country, Navarre, Pamplona has an interesting history, with outlying villages worth a trip out the center as well as medieval and Catholic sights within the city walls. Bilbao is far from the other traditional terracotta roofed cities in Spain, instead an industrial port city. 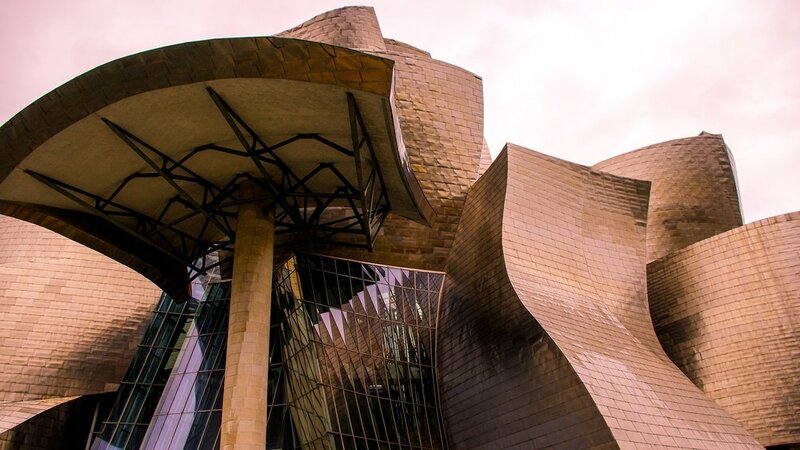 Its most prominent tourist attraction is the Guggenheim Museum Bilbao, designed with a curved titanium roof and known for displaying contemporary works of art. Although many associate Spain with Catholicism, there are many other religious influences that shape the landscape of Spanish cities. As with Toledo, Seville, and many other cities, Muslim settlements remain some of the most impressive tourist attractions due to their intricate designs. Granada has some of the most beautiful Moorish sights, such as Alhambra, Generalife and the Nasrid Palaces. Which Spanish city is top of your list?